After spending 3 days at Golf del Sur in the south of the island, we headed up by coach to Tenerife North – Puerto de la Cruz. We planned to stay 1 night at a small hotel close to the bus station in the center, followed by a few more nights at a more up-market hotel in the north part of town. One of the first things we noticed in our first few hours in Puerto de la Cruz was the predominance of German tourists – seemingly more so even than the Spanish. There were signs everywhere in German. It was beginning to look like our Spanish lessons had been for nothing. 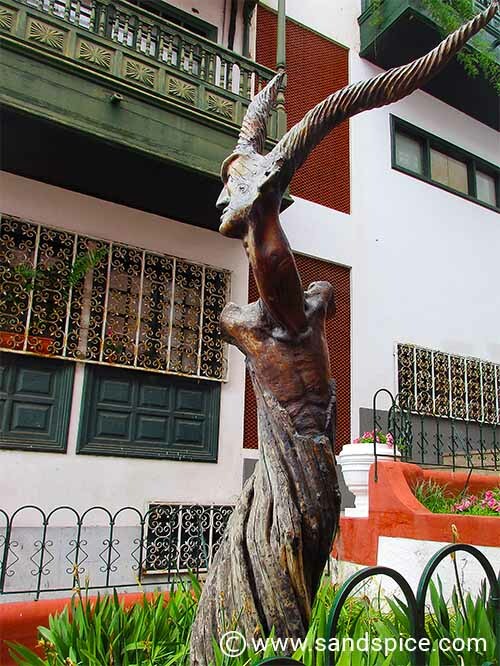 Puerto de la Cruz – When is a tree not a tree? Our first stop when we got off the bus was the Hotel Marte. 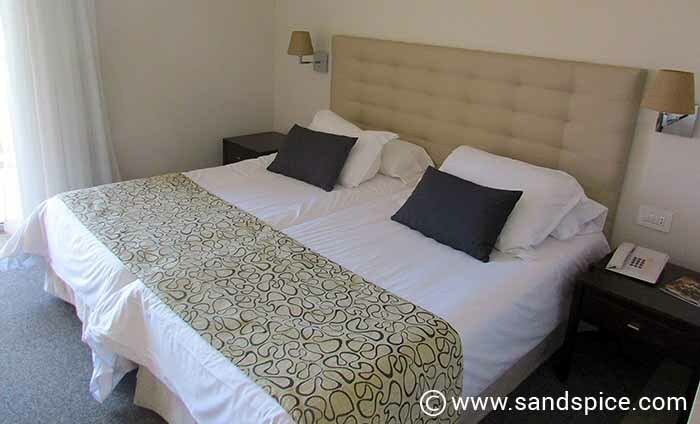 This hotel is centrally located in Puerto de la Cruz, just a few hundred meters from the bus station. First impressions were of a tired, worn-out place that has seen better days (but not recently). Our room was small but functional, with a compact double bed and a tiny flat-screen TV. We paid €33 per night, including breakfast. However, this was easily the worst buffet breakfast I can remember not eating. As with most places in Puerto, the hotel is tailored for elderly German tourists – and their breakfast reflects this. Plenty of bratwurst, muesli and black bread. There’s no bacon, no real tea or real milk, and watered-down juices. We were lucky we’d only booked 1 night here. 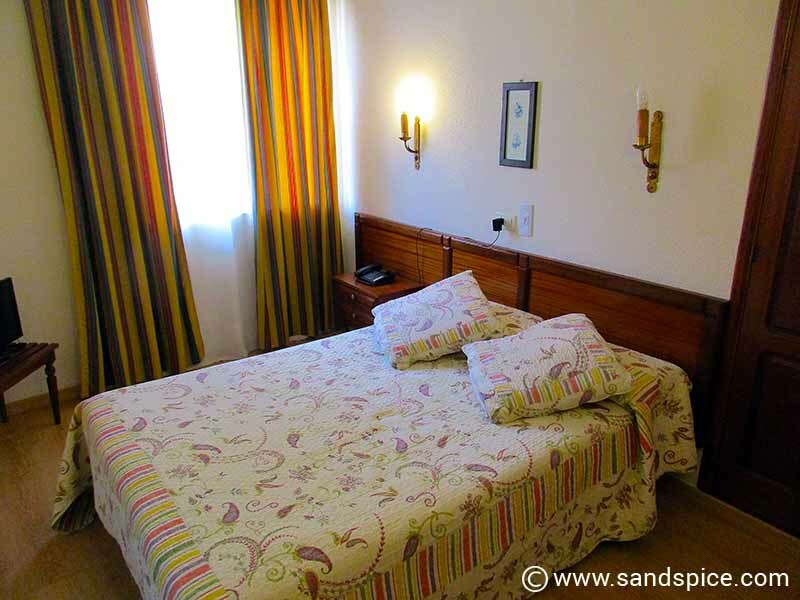 El Tope is a large, modern and comfortable hotel in north Puerto de la Cruz. The hotel is very much tailored to their (majority) elderly German clientele. Our room was very pleasant. We had requested 1 large bed, but we got 2 singles pushed together. The beds had good quilts and mattresses. The bathroom was roomy and well-equipped. 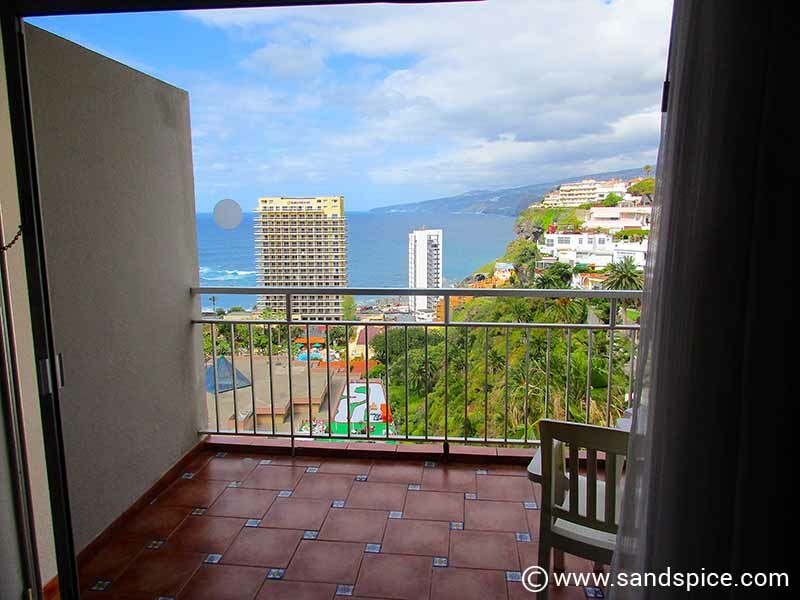 We also had a fridge, a large balcony and a great sea view. There was a safe in the room, but like other hotels in the Canaries, you have to pay to use it. Wifi Internet in the hotel is next to useless – incredibly slow even in the Reception area. You need a new password every day, and this is valid for just one device. They have a computer that you can pay to use (€1 for 10 minutes) but forget about trying to print anything – boarding passes for example. You’ll just get a message in Spanish (and German) telling you that no printer has been set up. You have to email your boarding passes to the hotel email address and then ask a receptionist to print it for you. The buffet breakfast is just about OK – don’t expect quality. The staff are generally polite and helpful. For us, this was marred by one particular functionary in the breakfast room (probably one of the managers, since he wasn’t wearing a name tag). He very rudely tried to move us to another table during breakfast, then went off in a huff when we refused. But as I said earlier, the rest of the staff were polite and friendly. I would normally give this place 3*, but due to the disrespectful manner of the breakfast staff member, its 2* – and we won’t be returning. If you’re German – or better still part of a group of German pensioners – Welcome Home! Any other nationality? Get to the back of the queue. Among the best experiences of our two-week trip to the Canary Islands was undoubtedly the food. Puerto de la Cruz in particular is home to some outstanding restaurants. Before our trip we had earmarked 3 or so places that struck our fancy. These were all character-restaurants with a high number of excellent reviews. If it’s a Michelin-style experience you’re looking for, then head over to El Taller Seve Diaz. Located close to the coastal High Street that runs through Puerto de la Cruz, this restaurant blew our minds with the ingenuity, inventiveness and flavour of the dishes on offer. If you visit only one restaurant in Tenerife, make sure it’s this one. You would also do well to check in advance which days the restaurant is open, and of course book a table. You will not be disappointed. For a more traditional, homely, family feel the Bodegar Julian is a great choice, and its located right on the main High Street. Here there is a choice of traditional, hearty food at very reasonable prices. Don’t skip the homemade croquettes! Your hosts are also excellent musicians and vocalists, so you’ll quite likely be entertained with the odd bolero while you eat. A little more off the beaten track, you’ll need to be a good walker (or take a taxi) if you want to visit Tito’s Bodeguita. This restaurant is located a few kilometers out of Puerto de la Cruz, heading south-east up the mountain. A visit to Tito’s is well worth the effort. This is a large beautifully-landscaped garden restaurant. Among other dishes we enjoyed tuna tartare and lamb chops. The food is tasty and well presented, and the prices very reasonable. 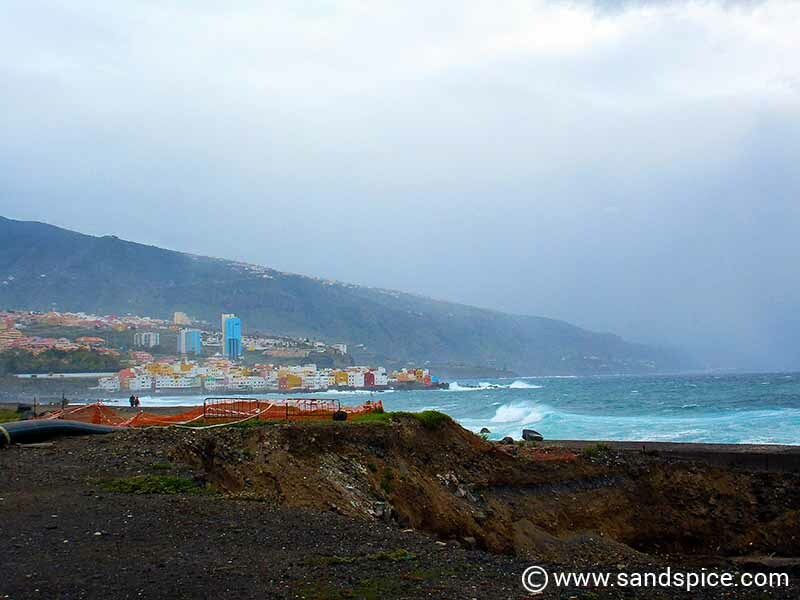 Maybe it was the time of year (May), but our visit to Tenerife was decidedly wintry. With huge waves crashing in off the Atlantic, this isn’t the sort of place that invites you for a dip in the sea. No wonder Puerto de la Cruz features a large number of sea-front bathing pools – This is the closest most people will get to the ocean. 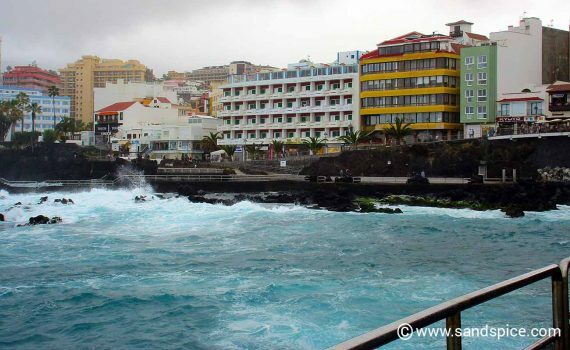 Puerto de la Cruz sea front is quite pleasant for a brisk (if fresh) promenade, but sooner rather than later you’ll be looking for some way to occupy your time. Probably the most popular activity is a visit to Loro Park. If you like birds, for its sheer size, variety, and beauty Loro Park (literally ‘Parrot Park’) is the largest parrot sanctuary in the world. But it is much more than this, hosting an extensive and diverse range of animal and plant species. Like its sister park in the south – Siam Park – Loro Parque is one of Tenerife’s biggest attractions, and deservedly so. 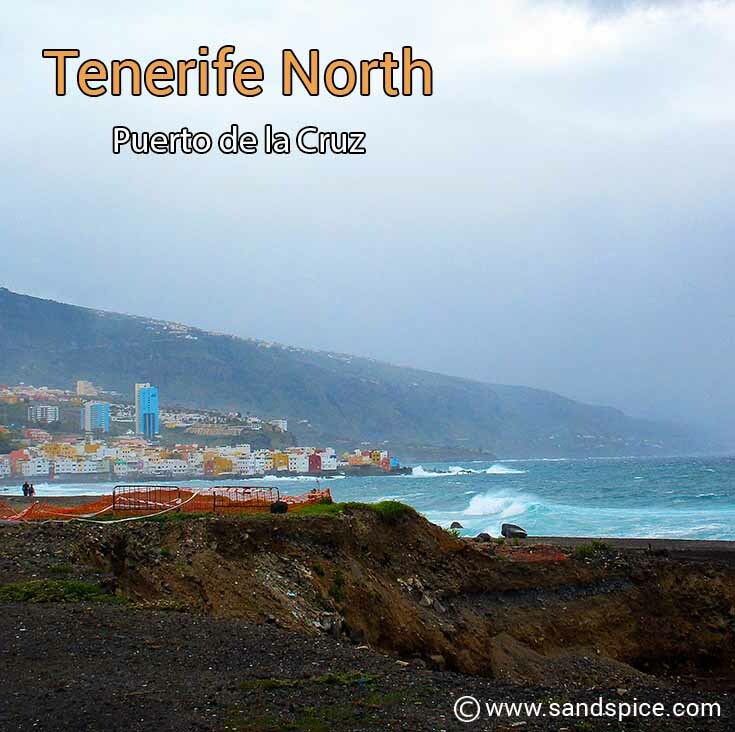 Following our 3-night stay in Puerto de la Cruz, we were next planning to take the ferry over to Gran Canaria – Tenerife’s sister island. We would be spending a few days in the southern town of Maspalomas before heading back home via Madrid.